It is early morning in January. The view is looking towards the end of the street (North-West direction) from my house. I have tried to capture the warm light in contrast with the cooler surroundings. 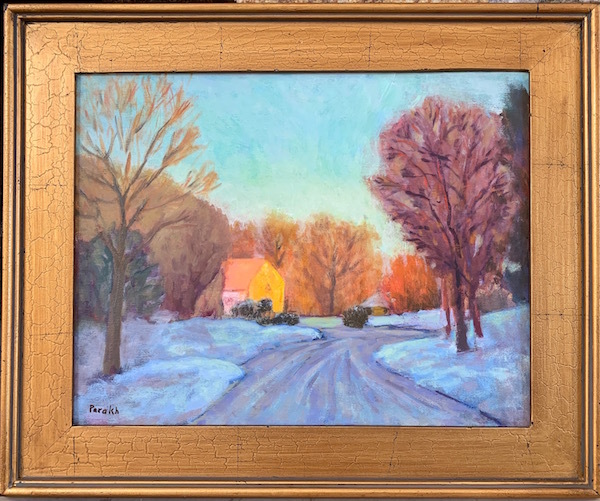 The snow-covered path leads the viewer into the painting.